There are more liqueurs out there than you may realize. 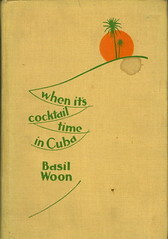 A few of them are crucial for classic cocktails (triple sec), many are liquid desserts (Irish creams), and a few are totally unique (coca leaf liqueur). What exactly is a liqueur, you ask? Basically take a distilled spirit, add some sugar, and voila. But that’s only part of the picture. 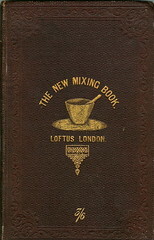 Often, liqueurs are flavored with fruit, citrus rind, berries, herbs, spices, and particularly in the case of Chartreuse the liqueur takes on the color of the ingredients. 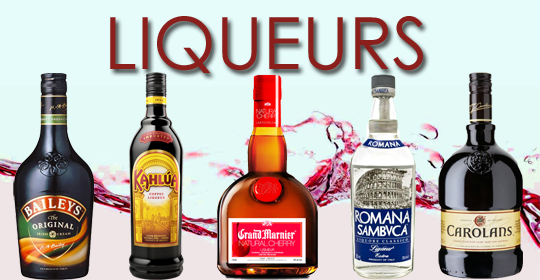 Here are some of the many liqueurs that GSN has reviewed over the past several years. Everything from ancho chili liqueur to bacon liqueur. 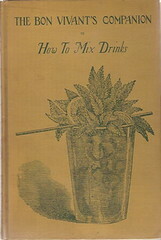 As an added bonus, I’ve included a video by the inestimable Robert “DrinkBoy” Hess which will show you how you can use as many liqueurs as possible in a single classic cocktail . 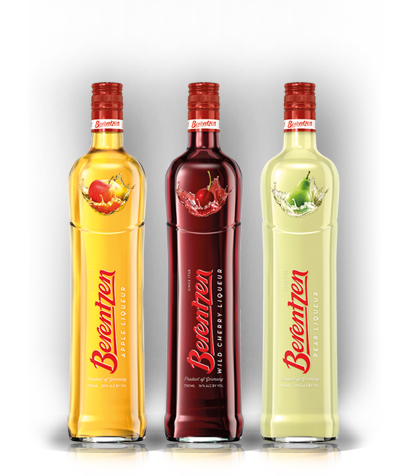 The Berentzen legacy has been around since 1758 when it was officially recognized as a distillery in the town of Haselünne, Emsland, Germany. 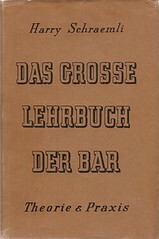 Town Councilor Johann Bernhard Berentzen began a long history of making spirits that today include dozens of spirits and liqueurs. However, the company’s best-selling product is a fairly recent one having been created in 1976. Apfelkorn (literally apple grain) is a low proof wheat based schnapps that has apple juice added to it. If you like hard cider, this takes it one step further. The GSN offices also received a bottle of their pear liqueur. This too is a neutral grain spirit with pear juice added. Nose: Very cider-like with natural apple scent. Taste: Sweet baked apple with just a hint of caramel. Very natural and nothing like the neon green apple liqueurs you’ll find on the bottom shelf of you local liquor store. Finish: Medium long with the sweetness making a lasting impression. Overall: A bit sweet for my taste, but loads better than many apple flavored products on the market. Quite good. Visual: Slightly cloudy, but clear. Nose: Candy-like pear notes reminiscent of Japanese sweets. Taste: Light and quite like an elegant pear dessert. Fruity, juicy and not overly sweet. Finish: Dry and crisp with faint lingering notes of pear that hang on to the end. 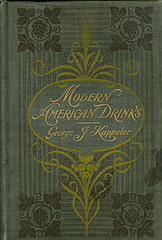 Overall: Very low in alcohol, making this ideal for less inebriating cocktails. This will also be great in a Sangria or punch. What do Lady Godiva and the Campbell Soup Company have in common? Probably not chocolate. And yet, the Godiva Chocolatier company which was founded in 1926 and named after the naked Anglo-Saxon equestrian was owned by the “Soup is good food” company for almost 40 years. A strange history for a company which originally only created edible chocolates and now include quaffable chocolates amongst their many enterprises. This latest in a line of chocolate liqueurs which already includes white and milk chocolate, contains no dairy and has only half of the calories of the other two. Taste: Less intense than what I was expecting. Not to say that it is weak, but the overall character seems somewhat watered down. 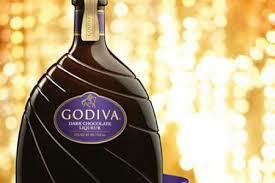 It does taste like chocolate though, and not a whole lot like a sugary liqueur. Think, a dry creme de cacao. Finish: Simple and slightly bittersweet. Overall: An interesting liqueur for use in cocktails. Much less sweet and cloying than a typical creme de cacao, but also much richer in real chocolate flavor. Try this in your next Commodore or Brandy Alexander and see what you think. James Prescott Joule was a 19th century physicist and brewer who is remembered today for his work with the study of thermodynamics. It is he who is immortalized by the unit of electrical measurement known as a joule. Ron Haberman (who created 300 Joules liqueur) was formerly a cardiologist who regularly used this amount of energy when he had to use a defibrillator to start someone’s heart beating again. * Then, he decided to get into the beverage industry. And thus, the name of the liqueur. In fact, Mr. Haberman oversees every aspect of the manufacture and bottling of his product, so in a sense he is now putting his heart into 300 Joules, rather than the other way around. Note: Unlike most liqueurs, this one is designed to be kept in the freezer and served ice-cold. *Oddly, standard defibrillators use 200 joules. But, 200Joules(dot)com was already taken, so Mr. Haberman simply upped the number. Nose: Just a whiff of lemon. Taste: Lemon curd and heavy cream with a distinct alcohol bite. The lemon is slightly tangy with a rich and long-lasting citrus flavor. Finish: Long and sweet, with a cream-based dessert mouthfeel. Overall: Rich and indulgent with a natural and cohesive flavor. Taste: General sugary sweetness is the overall character, somewhat tempered by a hefty dose of ginger heat. Finish: This has a grainier mouthfeel than the lemon, but the warmth of the ginger goes on for quite a while. Overall: Overall, this seems to be sweeter than necessary. I like the zing of the ginger, but it plays a distant role in the overall profile. It might work better with a slightly higher proof. Nose: Freshly grated cinnamon sugar. Taste: The cinnamon seems to bond much better with the sweetness than the ginger infusion did. The flavor is balanced and natural, not at all like cinnamon red-hots. Finish: Medium long with a similar aftertaste to cinnamon chewing gum. Overall: It’s better than the ginger infusion, but seems to be lacking depth overall. Today’s post is sponsored by PAMA liqueur. Follow @PAMAPros on Twitter! Go to most bars in any city, doesn’t matter if it’s New York, New Orleans or San Francisco. Chat up the bartender and ask them what kind of training they got when they were starting out. Nine times out of ten, they will usually laugh and say, “none”. It amazes me that a lot of bartenders who have been working for years, still get by with a minimal amount of knowledge and training It doesn’t have to be that way. 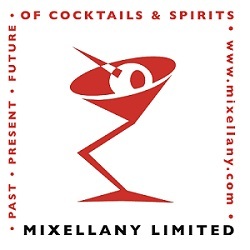 There are several well-respected programs and organizations available to bartenders which will both increase their knowledge and understanding behind the flavor profiles of mixology; but also their skill behind the stick. Better drinks mean better tips and returning customers. 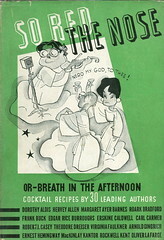 I was lucky that my early efforts in bartending were helped by some of the luminaries in the cocktail world. Not only did I do a lot of reading, studying and practicing on my own, but over the years I’ve had the opportunity to learn from experts like Paul Pacult, Steve Olson, David Wondrich, Doug Frost and Andy Seymour from the B.A.R. (Beverage Alcohol Resource). 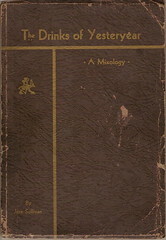 Each brings years of practical experience, knowledge and insight into the world of spirits and mixology. Without them, I would most likely not have started Good Spirits News or made my interest in the world of cocktails more than just a passing hobby. Each year, PAMA recognizes the importance of learning in the field of spirits, liqueurs and mixology by sending three exceptional bartenders to the intensive five-day B.A.R. program in New York City which enables them to achieve the coveted B.A.R. diploma. This year Chad Arnholt (Trick Dog, San Francisco), Joy Richard (Citizen Public House/Franklin Restaurant Group, Boston) and Pamela Wiznitzer (The Dead Rabbit, New York) all benefited from the 40 hour course. In addition, PAMA holds an annual competition open to all professional bartenders which this year will be judged by B.A.R.’s Paul Pacult and Steve Olson, along with Clover Club and Pegu Club’s Julie Reiner, The Butterfly’s Eben Freeman and Heaven Hill Distillery’s Director of Marketing, Kate Shapira Latts. You can enter your original PAMA cocktail here. In the autumn of 2012 PAMA held the first Pamalympics in NYC where Josh Perez of Booker & Dax took home the gold medal. The recipe for his winning cocktail is below*. As well, starting this month PAMA will debut a series of themed events entitled the Bar Star Media Series which will take place in major cities around the country. 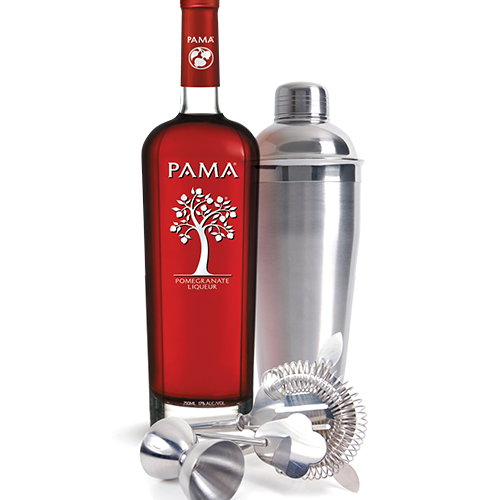 PAMA also regularly sponsors several cocktail events around the country including the Manhattan Cocktail Classic, New Orleans’ Tales of the Cocktail, Kentucky’s Camp Runamok and regional USBG (United States Bartenders Guild) Monthly Mixers. 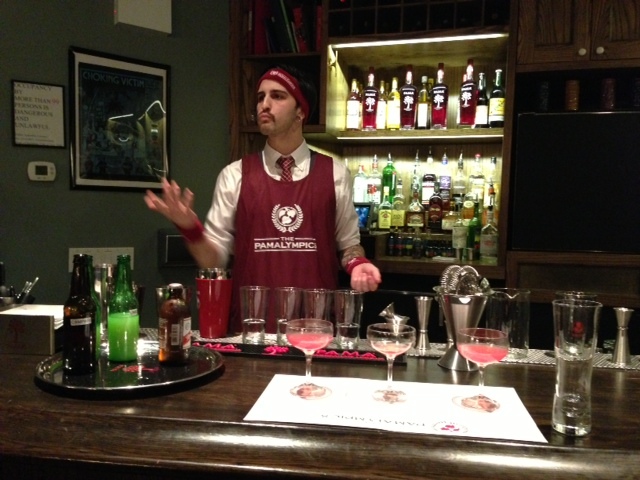 It’s clear that PAMA actively supports the bartending community. Reason enough to raise a glass to their ongoing commitment to helping bartenders bring their “A” game to their customers. Cheers! Directions: Stir PAMA, bourbon and honey in a mixing glass with ice for approximately 15-20 seconds. Strain into a chilled coupe glass. Float whipped Chobani Greek Yogurt on top and garnish with a dash of finely ground fennel.